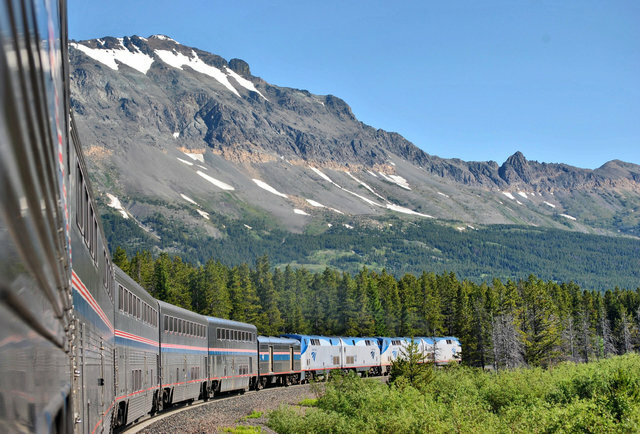 Traveling West through the Rockies was nearly impossible until the first transcontinental railroad was completed in 1869, which coincided with the gold rush near San Francisco. 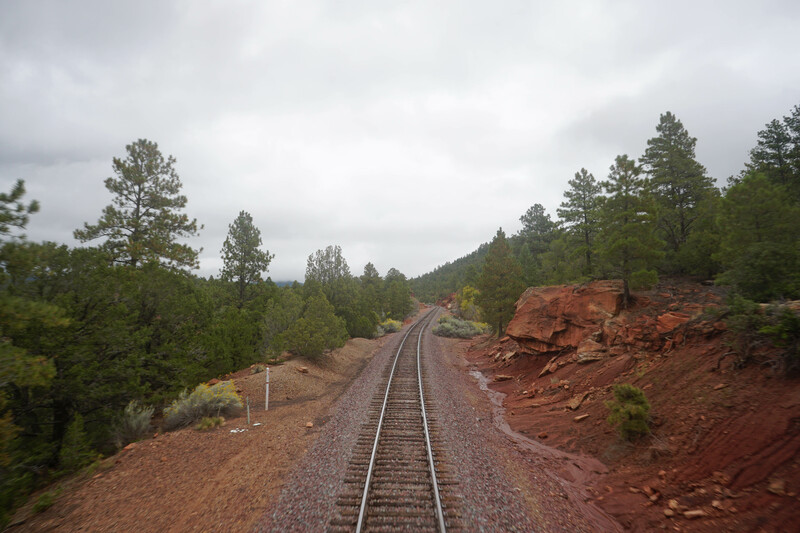 The California Zephyr travels the same historic route through the Rockies, the Continental Divide, Glenwood Canyon, the Utah Desert and the High Sierras. The route was named after the ancient Greek god of the west wind, Zephyrus. 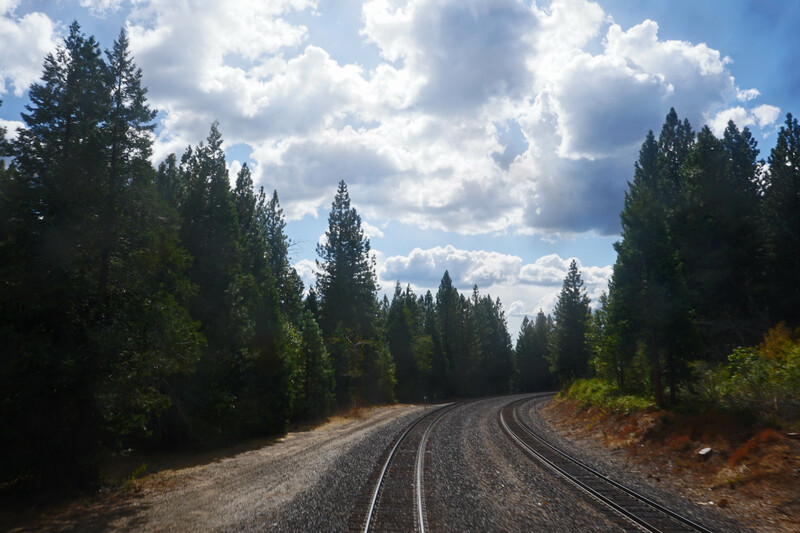 If your time is limited, go between Sacramento and Reno on the five-hour leg where Sacramento’s Railway Museum volunteers seasonally discuss the history and sights of the Donner Pass and Transcontinental Railroad, a must for any train or history lover! Chicago’s train station is also on our Most Beautiful Amtrak Train Stations list, find out why HERE. 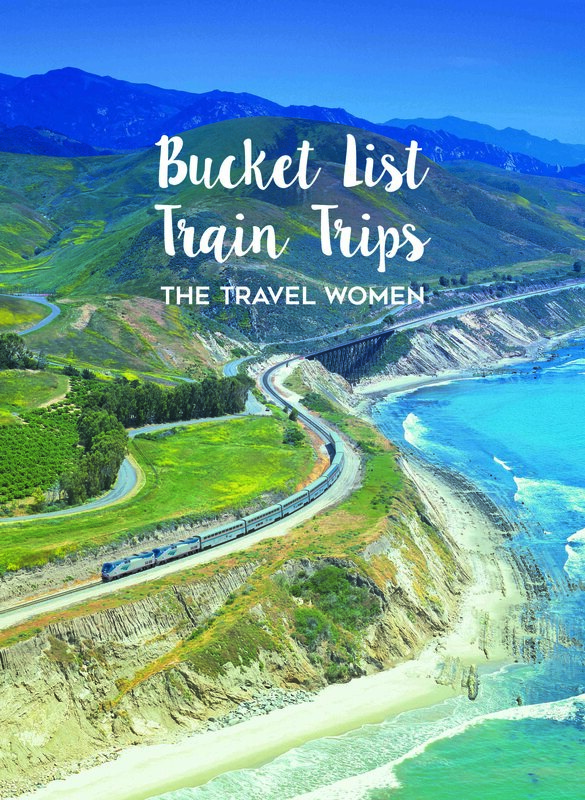 The Coast Starlight is the most popular long-distance train route and spans the gorgeous west coast from snowcapped mountains to nearly 350 miles of California coastline. 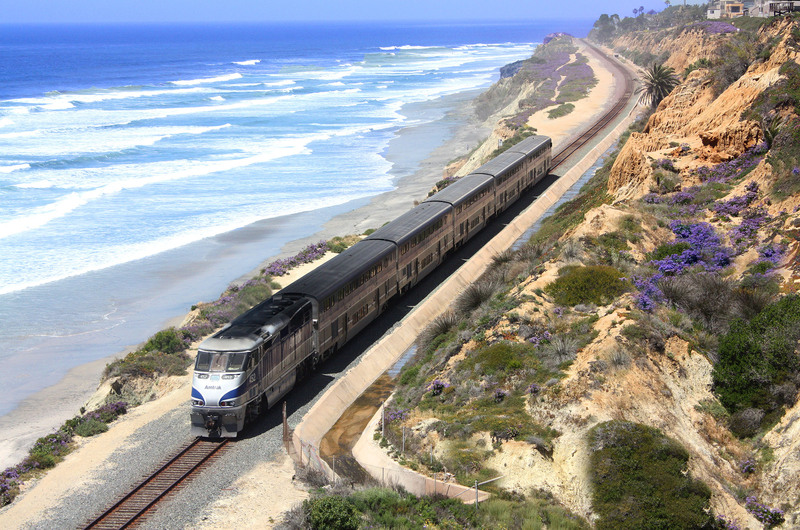 Instead of driving the stressful and windy California coast, sit back as the train brings you the best Pacific Ocean views. Top sights include Mt. Hood, Mt. Rainier, and Klamath Falls, which is the gateway to Crater Lake National Park. Journey from Hollywood through the rock formations of Arizona, Sedona Red Cliffs and snowcapped mountains in Colorado. 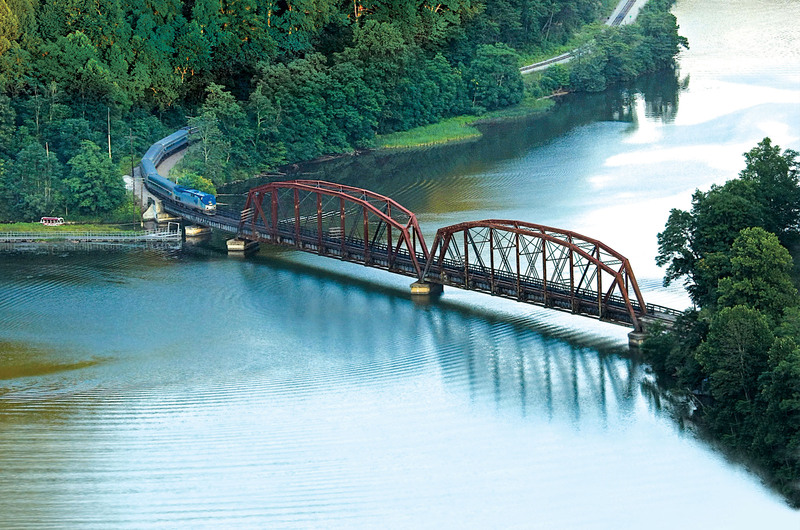 Watch the train twist along scenic turns and switchbacks. Visit Albuquerque in October for the largest hot air balloon festival in the world. Transfer at Williams Junction, AZ for the Grand Canyon Railway complete with cowboys and train robbers! Enjoy some of the prettiest shorelines in the USA along Lake Michigan, Lake Erie, the Mohawk River and the Finger Lakes. The diverse shores and landscapes are truly captivating. Meander around white-water rivers, the Blue Ridge and the Shenandoah Valley. 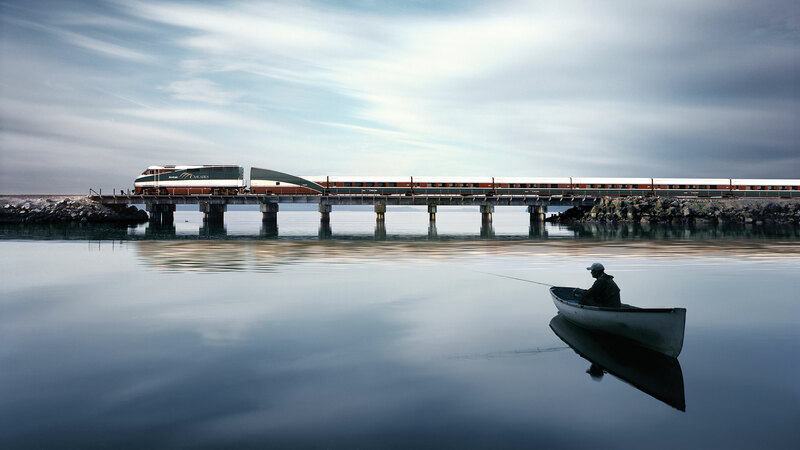 The Cardinal also connects Chicago and New York like the Lake Shore Limited. It takes longer but most prefer the Cardinal as a more scenic course. There is more limited dining service and sleeper availability so book early. 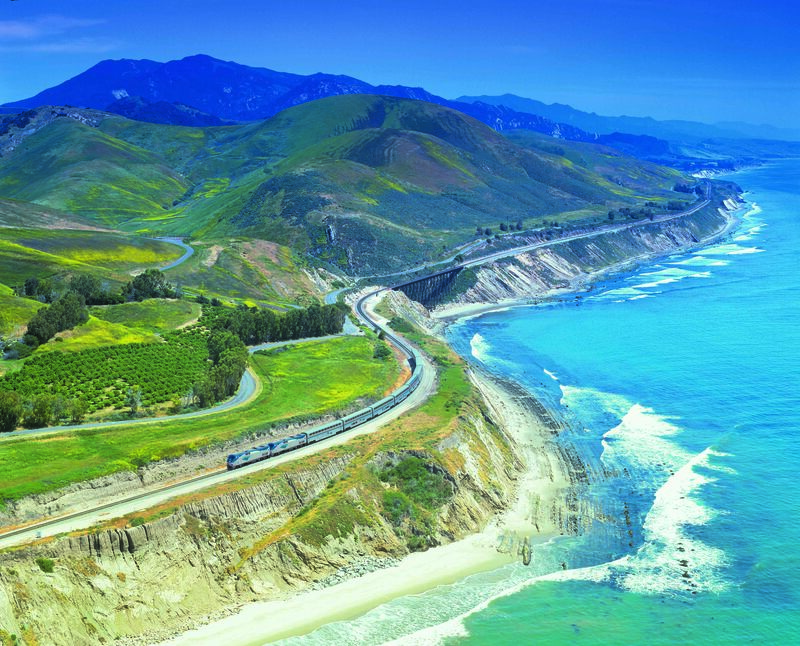 The Surfliner, as its name suggests, hugs the gorgeous surf of Southern California. It even has special storage racks for surfboards. 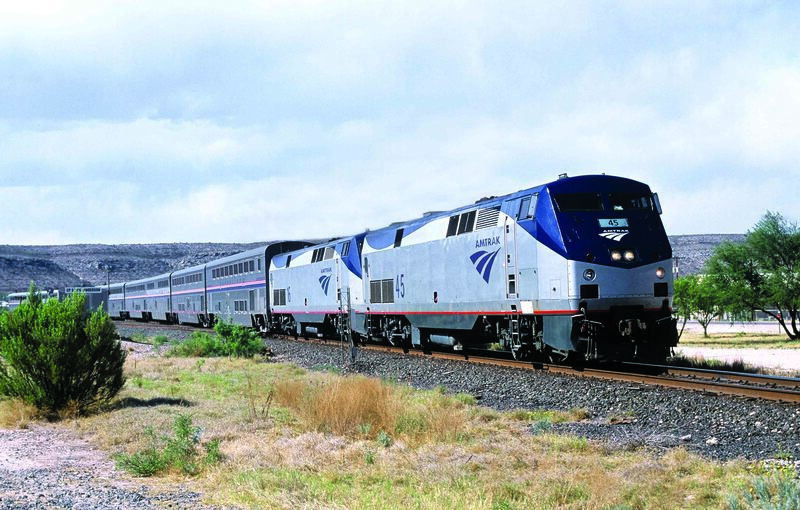 Take the Southern-most Amtrak route through Bayou Country, deserts and mountains. From Hollywood to NOLA take the scenic route which includes stops where you can easily access Big Bend National Park or Saguaro National Park. 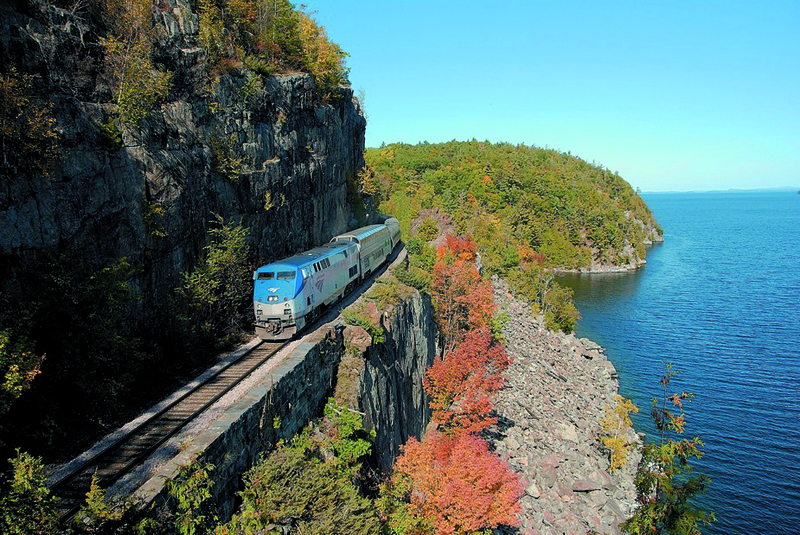 Go north through the Hudson Valley to enjoy views of the Adirondack Mountains and Lake Champlain. This trip is ideal in autumn to enjoy the vibrant changing leaves through your window. 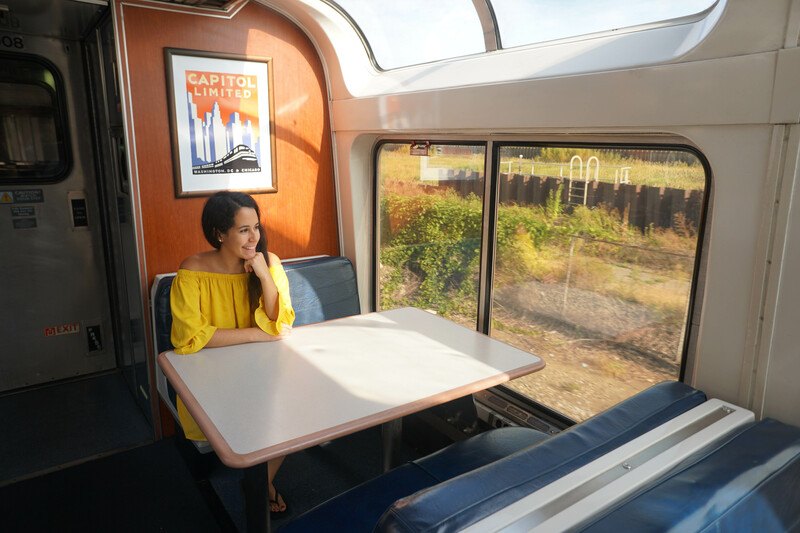 The Capitol Limited follows the historic B&O line through the Potomac Valley. Highlights include Harpers Ferry, the Allegheny Mountains and Frank Lloyd Wright’s home “Fallingwater” at Kaufmann’s Run. Experience the most beautiful scenes of waterfalls and volcanoes through the Great Pacific Northwest from Mount St. Helens and Mount Hood to the Columbia River Gorge. Which Route would you like to take? Comment below! 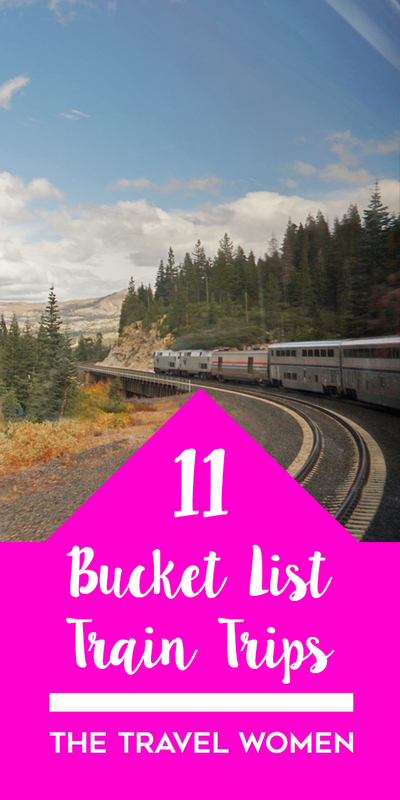 Read How to Pack for a Train Trip and Most Beautiful Amtrak Train Stations. Wow! 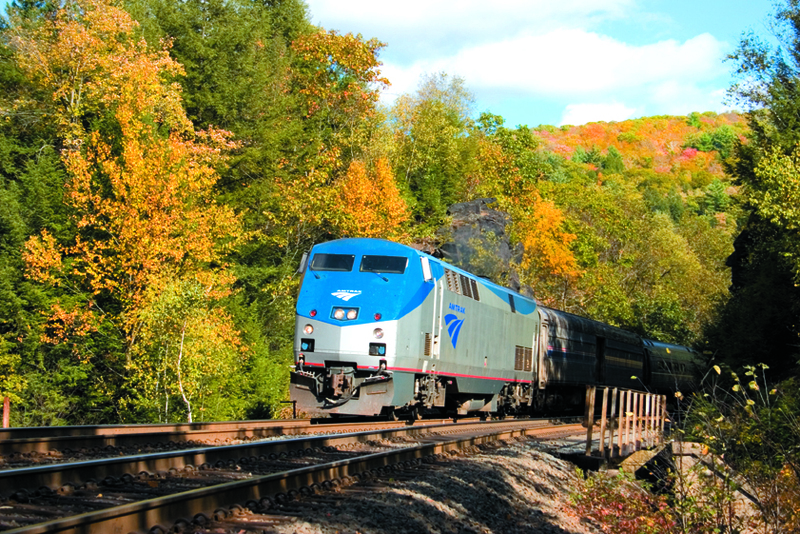 I did not know that Amtrak offered so many great train routes in the USA. I have my eye on the Coastal Starlight and Pacific Surfliner. I have taken Amtrak from NYC to Chicago and NYC to Philadelphia for both pleasure and business and had a great time. Thank for this informative and well written post. Love the photos. The Texas Eagle goes thought some pretty scenic country, but the problem is its at night in both direction That scenery is in Southern Missouri. Oh thank you so much for this update, really helpful, thank you!